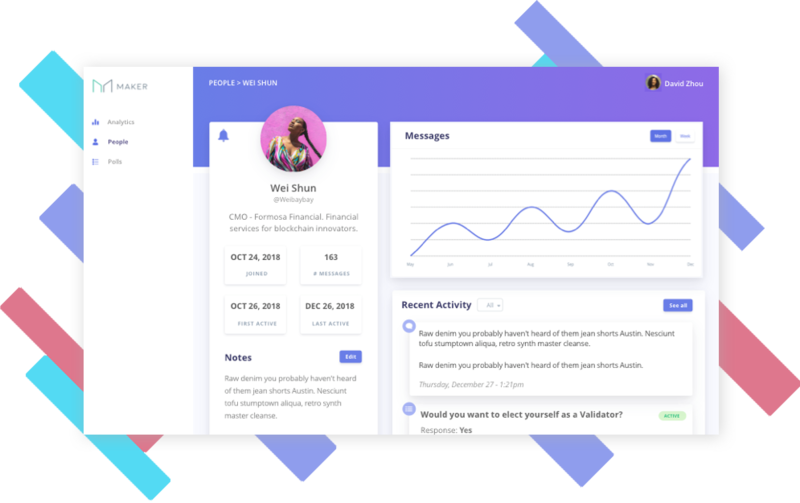 With Chainfuel Free, we’re excited to offer the Telegram community best-in-class analytics and anti-spam tools to help Telegram community managers block spammers and keep tabs on their community KPIs, completely free. Chainfuel PRO takes Chainfuel to the next level as an all-inclusive Telegram Community Management Automation Platform. With Chainfuel PRO’s powerful Telegram community management automation features, your community managers will be liberated from the trivial, low-level tasks, freeing them to focus on high-level interactions, discussion, and community efforts. Kyber Network’s on-chain liquidity protocol allows decentralized token swaps to be integrated into any application, enabling value exchange to be performed seamlessly between all parties in the ecosystem. Using this protocol, developers can build innovative payment flows and applications, including instant token swap services, ERC20 payments, and financial DApps — helping to build a world where any token is usable anywhere. 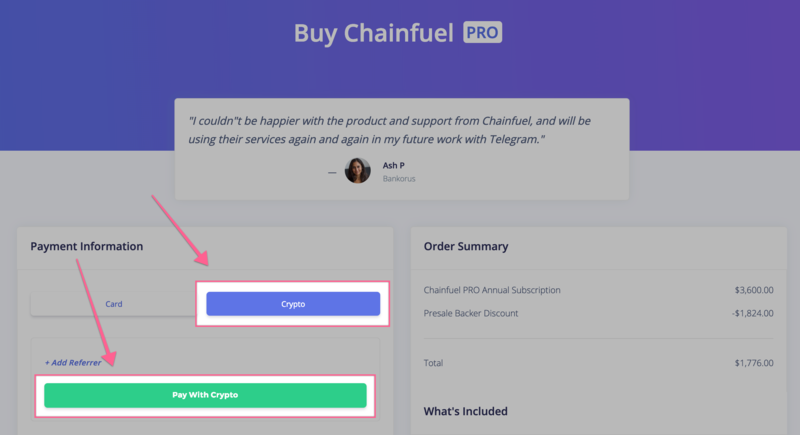 By integrating the KyberWidget, Chainfuel is providing token teams and businesses the option to pay for Chainfuel services in over 70 different ERC20 tokens. The KyberWidget is designed to provide a seamless user interface and experience, and enables quick transactions of Ether and ERC20 tokens on any website. There is no need for users to register prior to using the service, and the widget allows users the flexibility to swap tokens directly from different wallets (e.g. keystore, Trezor, Ledger, private key, and MetaMask). 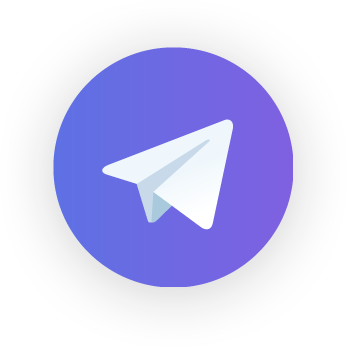 Our primary audience is cryptocurrency and blockchain startups managing large communities on Telegram. These startups usually manage treasuries containing various tokens apart from ETH. By accepting crypto payments, we widen the possible payment methods that our customers can pay with, making their transaction easier with less friction. Beyond accessibility, by accepting crypto payments, we’re doing our small part in increasing adoption of cryptocurrencies for products and services. Along with other variables, vendor and merchant adoption is one of the necessary factors that will be traversed on the way towards what we believe to be an inevitable cryptocurrency-abundant future, and by accepting cryptocurrency as payment, we’re happy to be playing our own small role to that end.